The Green Party believes democracy is enhanced by giving voters a real opportunity to vote for and elect representatives who reflect their views. Top Two reduces voter choice and takes us further from that goal by eliminating party primaries while making primary elections more expensive, allowing only two candidates on the General Election ballot, and eliminating write-in voting. To promote fuller and fairer representation, the Green Party supports eliminating Top Two and replacing it with multi-seat districts with proportional representation. • What isn’t on California's ballot today: real choice. By Michael Feinstein, Special to The Los Angeles Times. November 8, 2016. • Op/Ed: Top-two reform tilts California toward one-party rule. By Larry Gerston, Special to The Los Angeles Times. October 5, 2016. • Audio: Is California's Top-Two Primary System Blocking Third-Party Candidates? KQED Forum. Hosted by John Myers, with Michael Feinstein, Green Party of California; Eric McGhee, policy fellow at the Public Policy Institute of California, Kim Alexander, president and founder of the California Voter Foundation, and Chad Peace, legal strategist for the Independent Voter Project (IVP). October 16, 2014. • The Primaries Project: Blanket Primaries Have Yet to Deliver. By Alexander R. Podkul and Elaine Kamarck, Brookings Institution. October 10, 2014. 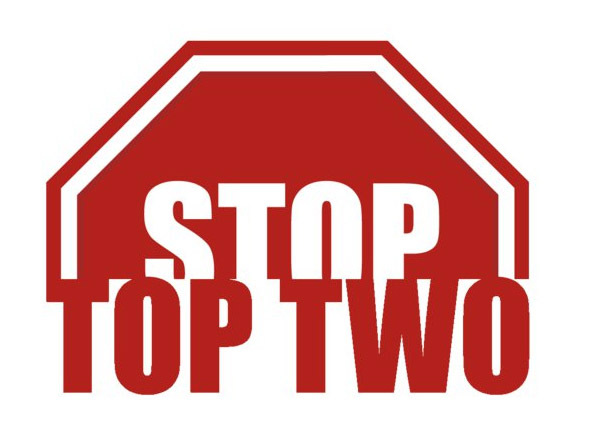 • Hea to Head: Should California keep 'top-two' primary? By Ben Boychuk and Pia Lopez. Sacramento Bee. October 24, 2012. • How Prop 14 weakened democracy. Elections are supposed to be about choice. But with minor party candidates marginalized and only two spots in a general election, voters have far less to choose from. By Keith Smith, opinion piece in the Los Angeles Times. October 24, 2012. • Attack of the goo-goos. Good-government types promised their reforms would fix things. They were wrong. By Joe Mathews, special to the Los Angeles Times. June 10, 2012. • California primary results: GOP catches a ‘top-two’ break. By Editorial Staff, Red Alert Politics. June 6, 2012. • Louisiana Experience Shows Top-Two Systems Make it Easier for Incumbents to be Re-Elected Than in a Normal Partisan Nomination System. Richard Winger, Ballot Access News. May 20, 2012. • Opinion: Prop. 14 would weaken democracy, voter choice. By Michael Feinstein. Special to the San Jose Mercury News. May 12, 2010. • Proposition 14: No, No, No. Elections: Restricts November choices & alters primary election. Green Voter Guide, Green Party of Alameda County. May 8, 2010. • Editorial: Proposition Will Make Our Broken Two-Party Political System Even Worse. By Ann Menasche, Green Party Candidate for Secretary of State. East County Magazine. April 15, 2010. • Prop 14 takes away voters’choices at ballot, gives more power to big corporations. By Ann Menasche, Green Party Candidate for Secretary of State. Green Focus, newspaper of the Green Party of California. April 15, 2010. • Opinion: Thirteen Reasons To Vote No on Prop 14/Top Two Why Prop 14 would be bad for democracy and government in California. By Mike Feinstein. Green Focus, newspaper of the Green Party of California. April 15, 2010. • Video: Top Two Primary/Proposition 14 Debate: Feinstein vs. Gesicki. Santa Monica Chamber of Commerce Government Affairs Committee Debate. April 4, 2010. • Video: Legal case against Top Two Primaries, Proposition 14 and SB 6 - Richard Winger and Gautam Dutta (28:56) May 1st, 2011 - A summary of the legal arguments against the Top Two primary (Proposition 14 in California, Initiative 872 in Washington State), as well as Proposition 14's implementing statute in California, Senate Bill 6. Presentation includes a status update of the legal cases against both. Featuring Richard Winger of Ballot Access News and Gautum Dutta, attorney against SB6. Filmed at the General Assemby of the Green Party of California. May 1st, 2011. Berkeley, California. Tri-fold, colored flyer for general distribution. [PDF 1.3 MB]Native file in Adobe Illustator format [AI 2 MB]Update: The flyer content was updated on Mar. 26 to be more generic and less centered on the GPCA.Printing tips: Printing a tri-fold takes some experimenting to get it to line up properly. If printing from Adobe Reader, set Page Scaling to 'none.' Do not shrink or scale. Do 'Auto-Rotate and Center.' Use your printer's 'Bordeless' or 'Print to Edge' printing feature, if it has it. All printers vary so you will have to expirement. Generic text to build your localized flyer. In MS Word format. [DOC, 26 KB] GP graphics are at cagreens.org/it/. Scroll down to the "Icons and Logos" heading. Fresno LiteratureFresno County contributed a flyer and button art advocating No on 14 and Yes on 15. You need Microsoft Publisher to open the files, which can then be customized for your Local. MS Publisher is standard equipment the Microsoft Office suite. Probably usable in Open Office suite.